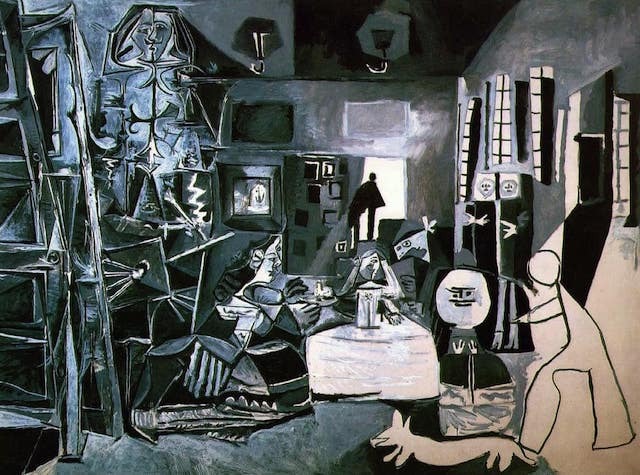 The Picasso Museum Barcelona is home to one of the world’s most extensive collections of the artist’s works. It is housed in five interconnected medieval palaces in the Gothic Quarter of the city. 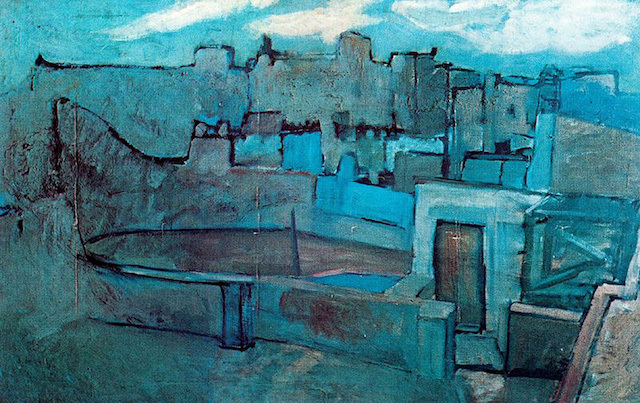 Pablo Picasso came to Barcelona in 1894 and many of his early paintings were inspired by the city. 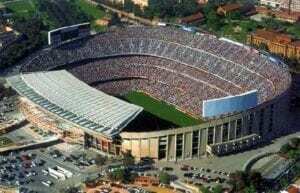 He would later divide his time between Barcelona and Paris. The Museu Picasso was established here in response to the artist’s wish that his work remain a permanent part of the city long after his death. The Picasso Museum opened its doors to the public on March 9, 1963 (ten years before his death) and was called the Sabartés Collection. This first portion of the sprawling museum occupied the Palau Aquilar, the first of the five palaces that would eventually end up sheltering the large collection. In 1970 a total of 920 works were donated to the museum by Picasso himself, works that had been until that time, safeguarded by Picasso’s parents, his sister and his sister’s children. This influx of material forced the museum to enlarge and take over the palace of the Baron of Castellet. Viewing this collection is akin to watching a young man’s relationship with his city. The Picasso Museum describes the work of Picasso before he left Barcelona to travel to Paris and in the paintings in the permanent collection you can see his relationship with the city. In his paintings of the urban landscape and of the street scenes that he became famous for one can see Picasso’s Barcelona, a place that left its indelible mark on him. Picasso’s Art Periods: Pablo Picasso, as the co-founder of cubism, was one of the most influential artists of the twentieth century. With his breaks from slavish realism and with his deep insight into the psychology and feeling invested in a painting Picasso opened up an era of modern art. His work is largely divided up into periods, all distinct, all equally important to the understanding of the artist’s vision as a whole. Works representative of each period can be seen at the Picasso Museum, but where this museum really shines is in its devotion to Picasso’s early works. Particularly there is a fascinating representation of Picasso’s work from 1917 when he met his first wife, the ballerina Olga Kokhlova, and journeyed to Rome. The Picasso Museum’s collection shows a clear transition from Cubism to Picasso’s return to classicism after his journey to Italy and in terms of his famous Blue Period, there is no other collection in the world that can compare. 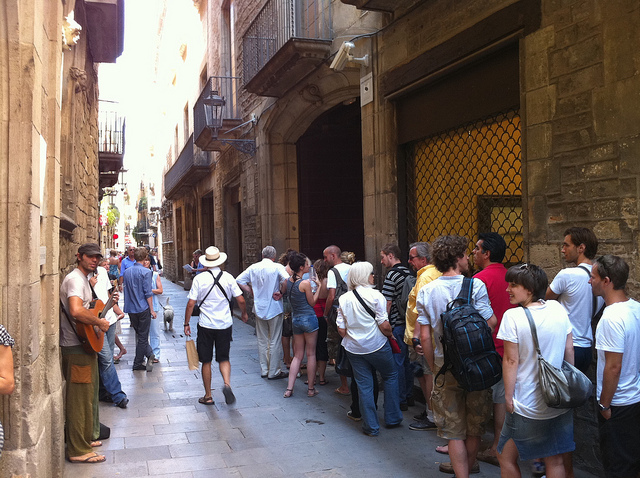 The Picasso Walking Tour provides a fascinating insight into the artist’s life in the city and includes a visit to the Picasso Museum Barcelona, the city’s most visited art gallery. 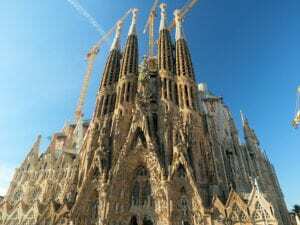 If you visit this museum you will also be able to take in some of the most beautiful architecture that Barcelona’s Barri Gothic has to offer. Located on the historic Carrer de Montcada the buildings of the Picasso Museum Barcelona are rich in a history that goes back hundreds of years. The Aquilar, Baro de Castellet and Meca palaces hold the permanent collections of the Picasso Museum and renovations are currently underway to modernize the structures as well as maintain its presence and charm. The renovations started in 1999 and since then Casa Mauri and the Palau Finestres have housed the museum’s temporary exhibits. All five of the buildings have roots going back to the thirteenth century when the area was among the newest to be enclosed by city walls. These historic buildings give you a real idea of what Barcelona was like 600 hundred years ago, a feeling that cannot be duplicated in many other cities. Opening Hours: As one of the most popular and most visited museums in Barcelona the Picasso Museum is quite accessible to anyone who is interested in visiting its hallowed halls. It is open Tuesdays to Sunday from 10am to 8pm. and is closed on working Mondays. Annually, it is closed January 1, May 1, June 24, and December 25 and 26. Free entrance is available February 11, May 18 and September 24.